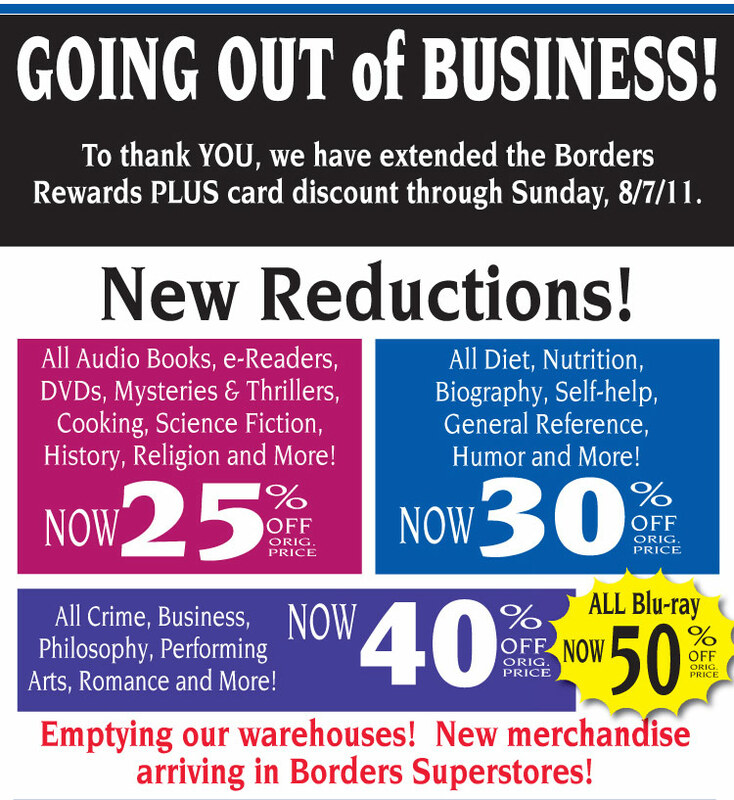 Borders just announced more discounts in its Going Out of Business sale. Starting today, everything in store is 25 -50% off. This is a great time to stock up on gifts and get new books for yourself and the kids. Be sure to bring your Borders Plus Reward cards; they have extended the Borders Reward card discounts through Sunday August 7th. Be sure to report back and let us know what you find at your local store.